1. 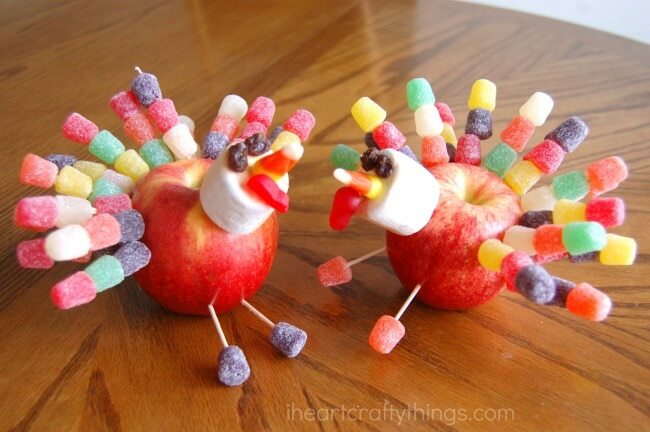 Poke 3 spice drops onto several toothpicks to make the turkey feathers. Insert the ends of the toothpicks along the back of the apple. If your apple starts to teeter one way you have to counter balance it with more feathers on the other side. 2. 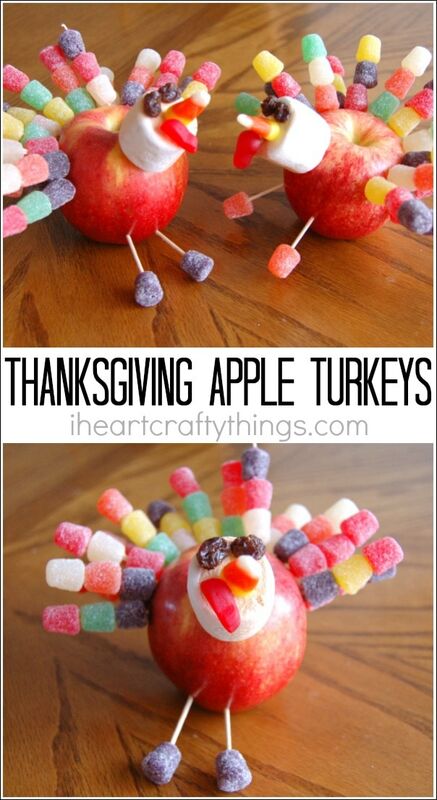 Poke a large marshmallow into another toothpick and poke it into the front of your apple. 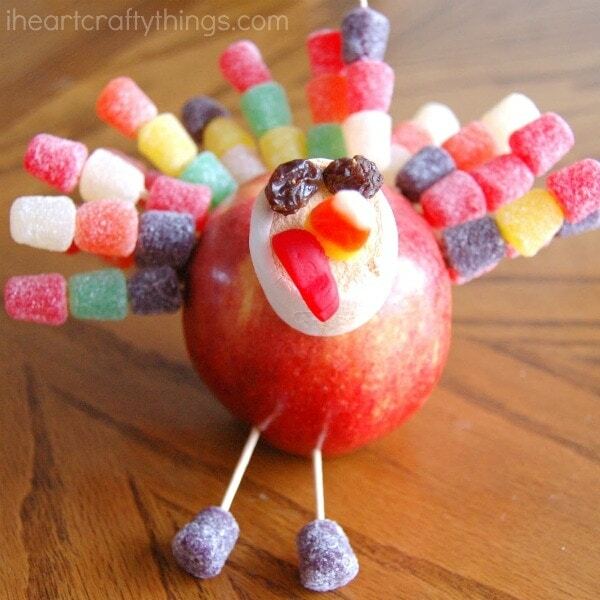 Fill in your apple turkey’s face by poking in raisins for eyes, a candy corn beak and half of a red fruit snack for the waddle. I used a whole fruit snack for my waddle and then we decided it was too big so we cut the others in half. You decide what you like best. 3. 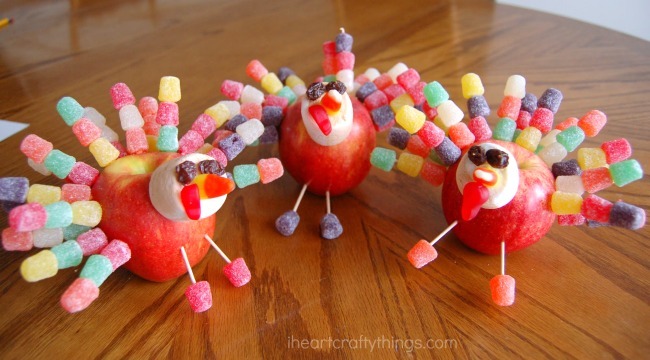 Poke one spice drop onto the ends of two toothpicks and then insert them into the front of the turkey for the turkey legs and feet. Aren’t they seriously the cutest thing ever?! 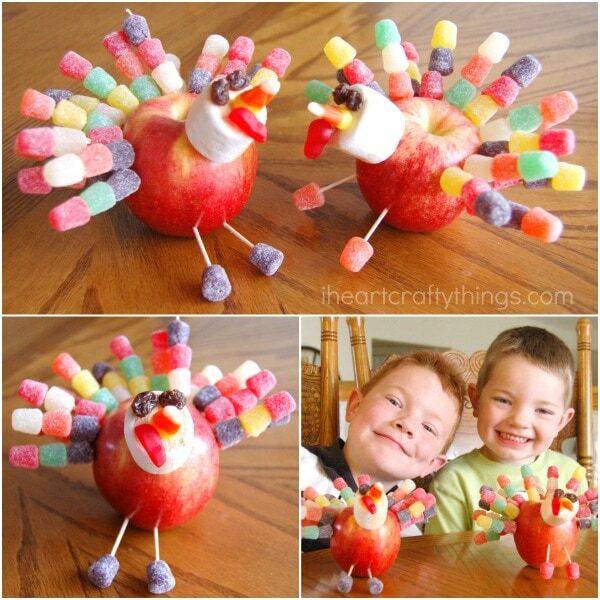 I’m telling you, if you are looking for some gobbly good fun and giggles with your kids, this Thanksgiving apple turkey craft is absolutely perfect! 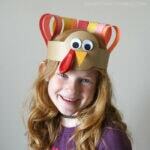 These adorable turkey headbands will make a perfect addition to your Thanksgiving celebration. Our free template makes them super easy to create. 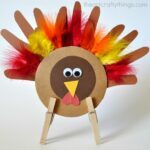 Set up a kids craft table at your Thanksgiving dinner for kids to create one of these awesome paper plate turkey crafts. 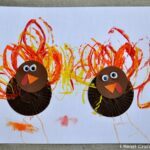 Black glue and watercolors are a perfect combination for creating this beautiful black glue turkey art project. This is a great project to make at home or at school.